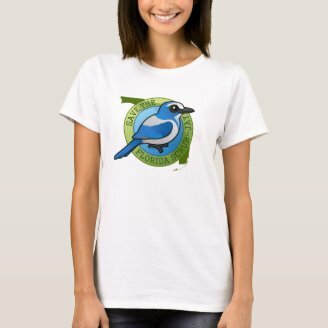 This week we'd like to highlight one of our newest designs featuring our home state and a bird that is very close to our heart. 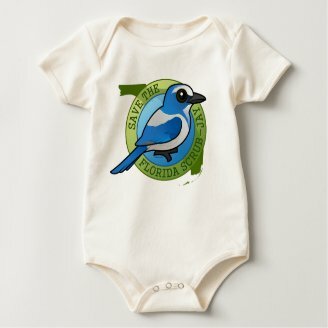 The Florida Scrub-Jay is the only endemic bird of the state of Florida and, with only a few thousand breeding pairs left, considered vulnerable to extinction. 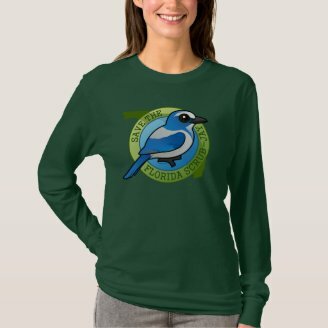 Show your support for this highly intelligent and beautiful bird. 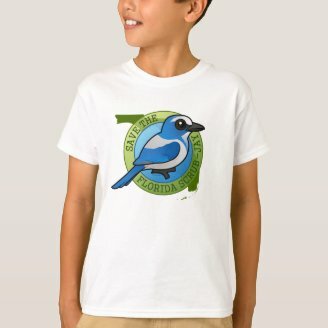 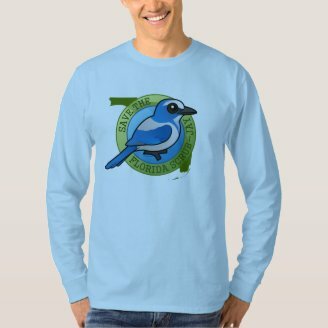 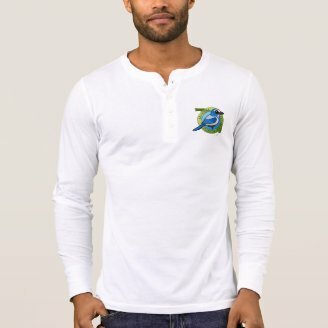 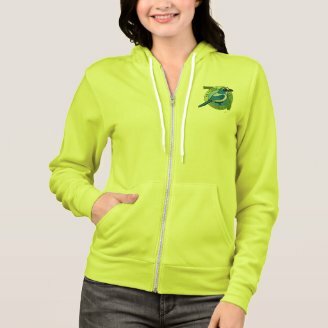 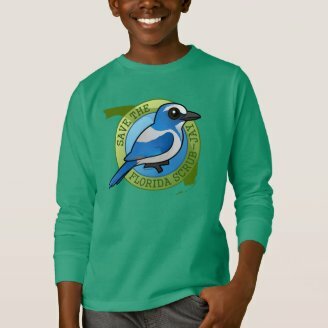 The design shows our cute Birdorable Florida Scrub-Jay in front of a faint outline of the state and the text "Save the Florida Scrub-Jay", shown here on a green unisex American Apparel t-shirt, which is made of 100% fine jersey cotton and made in the USA.